The Most FUN Hippo Toys for Kids! 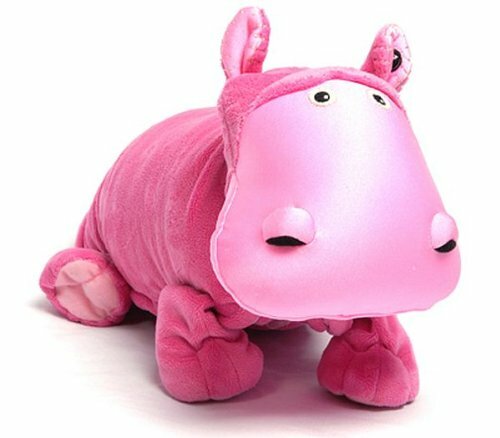 Naturally, hippo toys are very popular among kids and another great gift idea! You didn’t know they made toy hippos for children? Well, I didn’t know also, until recently! I found the cutest hippo toys around and had to show them to you! They are so very colorful, fat and cute! I am amazed at all the variety out there! I chose the cutest and most colorful hippo toys I could find! Are you all ready to go meet them? *This cool purple hippo toy is also a piano! He is probably the most fun hippo toy here! I bet you didn’t know this!! Did you know that the name hippopotamus means ‘river horse’? Now you can say you have met a ‘river horse’!! 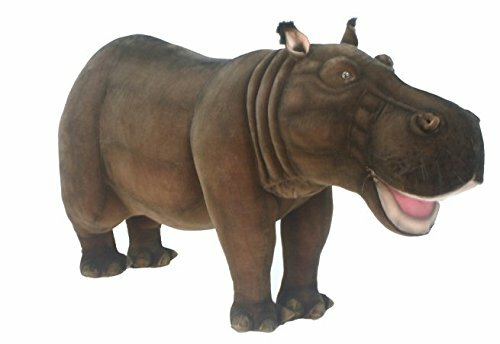 How about riding your very own gigantic plush hippo at home? This is one of the largest ride-on hippo stuffed animals around! He can take up to 150 lbs! Great for taking amazing pictures in your backyard! Is he a plush pink hippo, a hippo pillow or a hippo blanket? This is a hippo plush toy, hippo pillow and hippo blanket all in one! 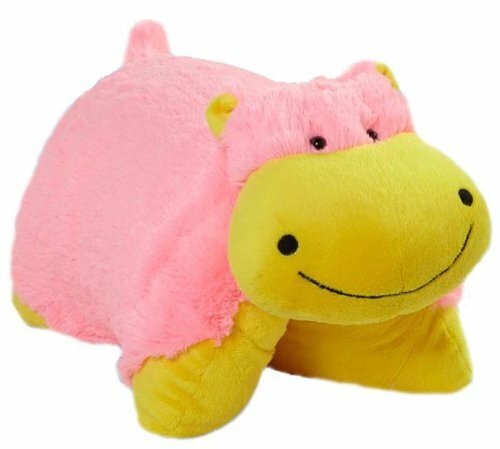 If your child is a hippo fan, you gotta give her this cute pink hippo! 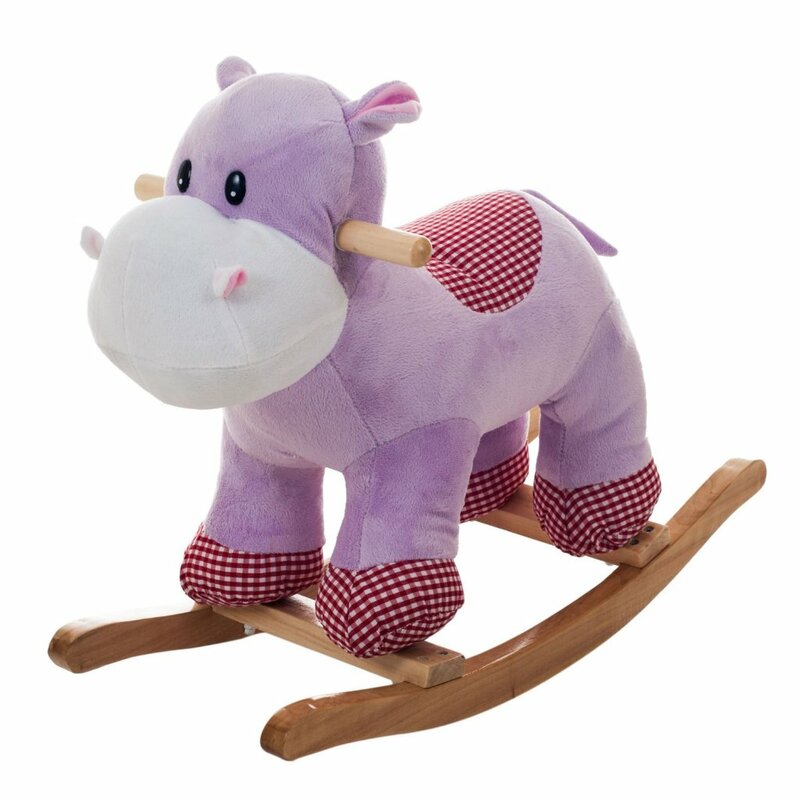 Adorable Purple Hippo Plush Rocker for Toddler Girls! I love this cute purple plush hippo rocker! It is my favorite color ever! He is very soft and huggable! It’s small enough for 1 and 2 year olds! Cutest Riding Toy Hippo for Toddlers! 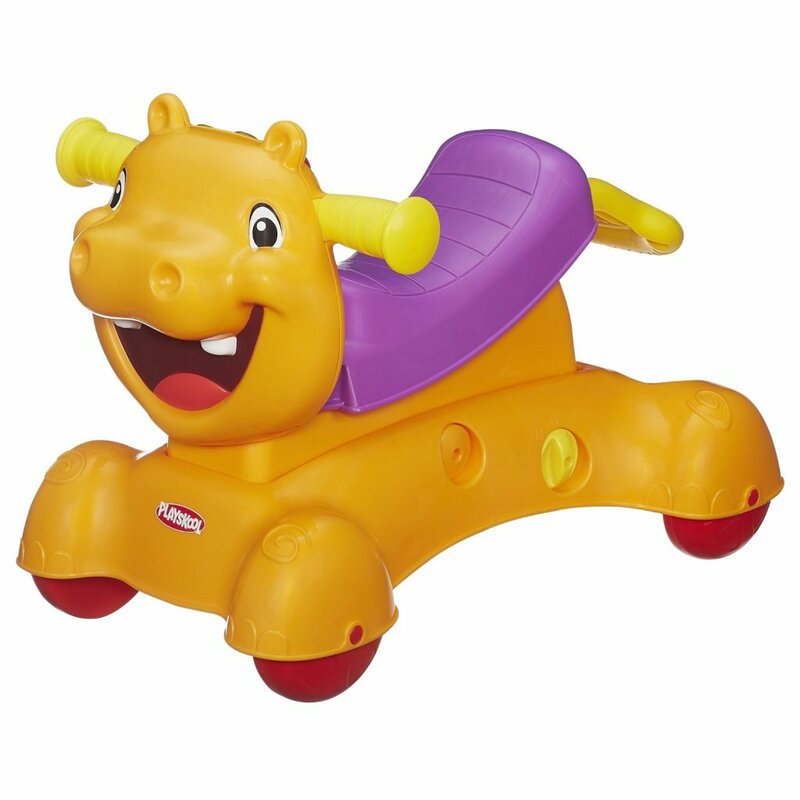 Who wants to ride this cute orange toy hippo today? What a fun 1st birthday gift idea he will make!! 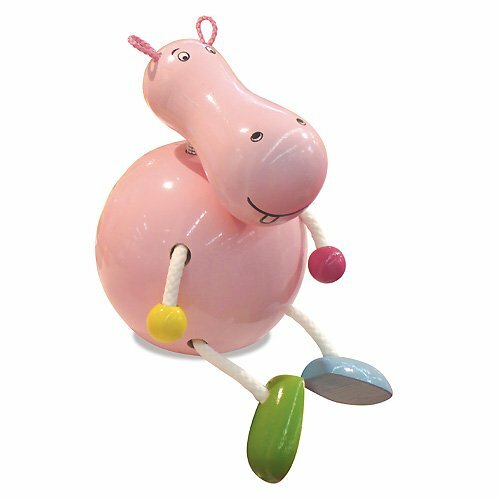 Very Unique Pink Hippopotamus Piggy Bank for Kids! What a very cool and unique pink hippo piggy bank! Your child will love finding coins and learning about saving money with this cute and colorful hippo piggy bank! He will look amazing in your child’s bedroom! 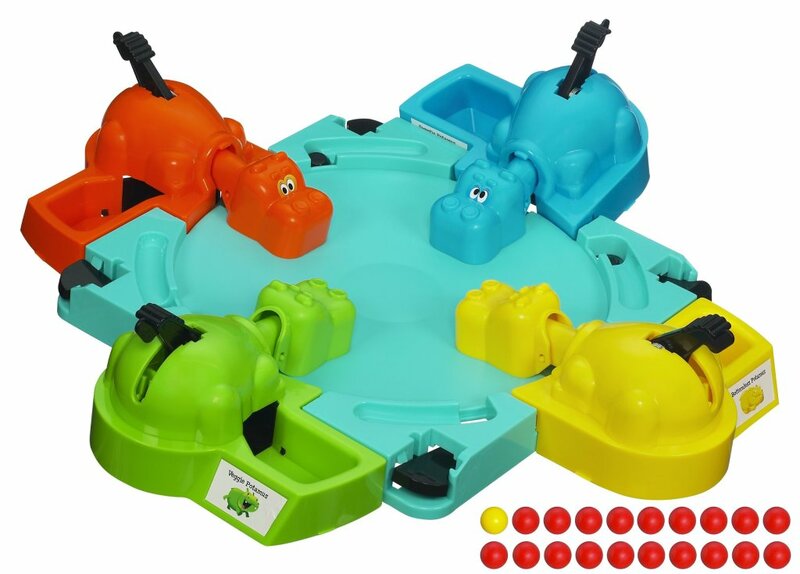 Fun Hungry Hungry Hippos Game for Kids! 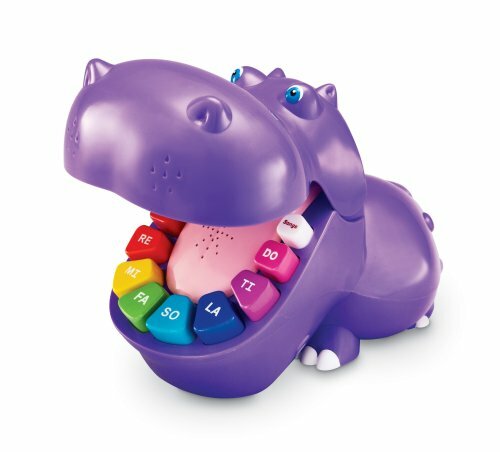 This is a fun and very colorful toy hippo game where you have to eat as many marbles as you can! Who is the hungriest hippo of all? 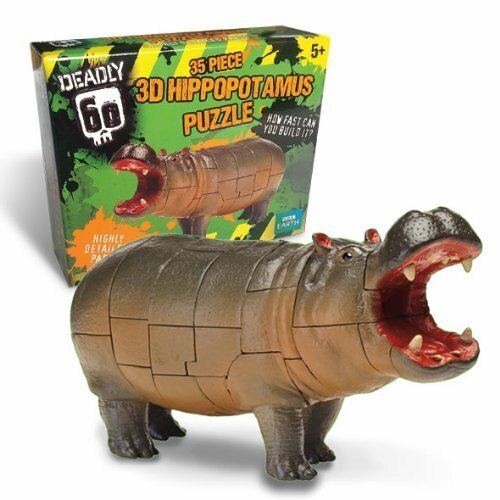 Have you ever seen a 3D hippo puzzle before?? Your kids are gonna love making this hippo ‘come alive’ by putting the pieces together! Adorable Hippo Shaped Bus Toy! 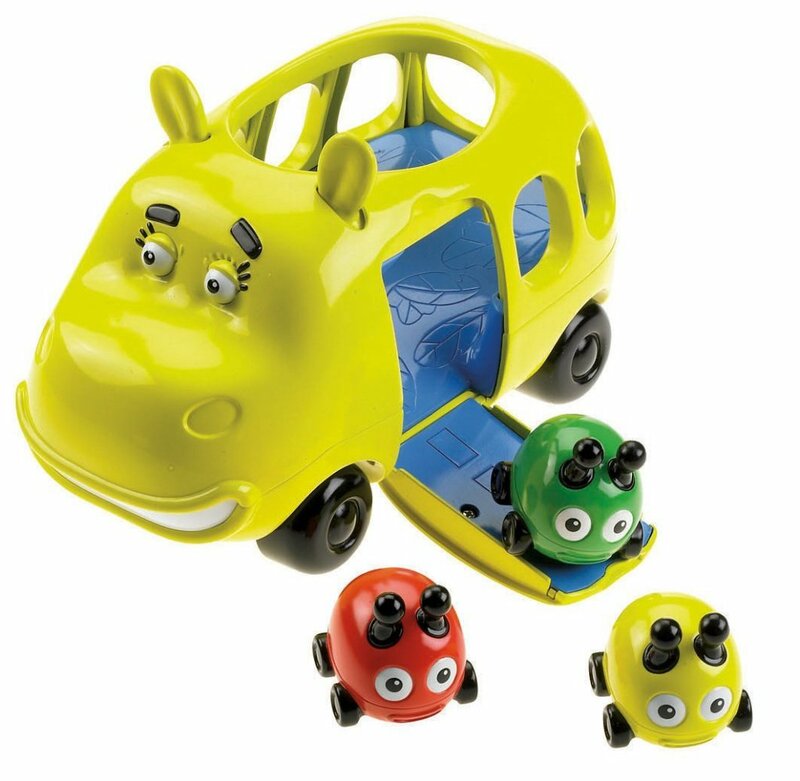 A cute and fun happy yellow hippo shaped bus taking the most adorable and colorful beetle bugs to school! 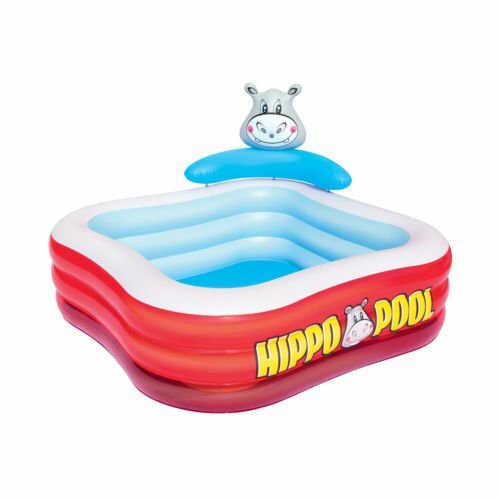 Cute Inflatable Hippo Play Pool for Kids! 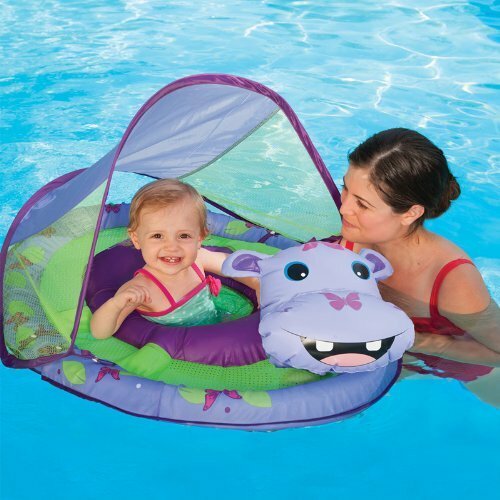 Cute Hippo Baby Spring Float! That baby girl in the picture is definitely having a blast! 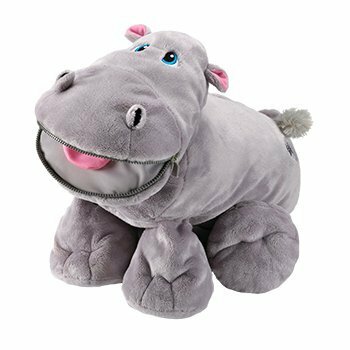 Cute Hippo Stuffed Animal with Secret Pockets! No… I cannot tell you what it is…. Fun NEON HIPPO Large Pillow Pet! It’s a fun, bright and colorful NEON hippo pillow pet! *Who wants to meet a cute baby hippo? I think you are also going to like these animal toys as well! Fun Crocodile Toys for Kids!